Carlos has recently been appointed as a new supervisor of production. His feelings about his new job are mixed. He loved working on the floor and had a good relationship with his co-workers. He wasn’t sure he wanted all the responsibility and hassles of being a supervisor and how it might change his relationship with his former peers. Carlos was pleased that the transition seemed to go pretty smoothly, initially. Except for a little good-natured teasing, his co-workers wished him well and for the first few weeks they’d been cooperative and even helpful as he adjusted to his new role. Then, late on a Friday afternoon of Carlos’s second week in his new job, a disturbing incident took place. He stopped by the lunch room and found a couple of his old buddies, Mike and Bobbie, sitting at a table ready to go home for the day. Carlos replied, “Things are different now. Both of you get back on the job.” Mike and Bobbie said nothing more and they both returned to the floor. From that time on, Carlos began to have problems as a supervisor. Mike and Bobbie gave him the silent treatment. The operators seemed to forget how to do the simplest things. Every few minutes there was a machine shutdown. By the end of the month, Carlos’s department was showing its poorest record ever for production. Carlos is facing a key moment, which I define as a situation or event that presents a challenge and demands a response. And how Carlos handles this key moment will greatly influence his success as a supervisor and the productivity of his entire department. Unfortunately, our natural tendency when facing a challenging key moment is to react in one of three ways, each of which is harmful in the long-run. We tend to dominate, accommodate or avoid. Dominators communicate the message that “if you don’t do what I want, I will intimidate, coerce or overpower you until you do.” At the extreme, dominators go on the offensive and attack other people, trying to win through intimidation, power and control. They tend to be action-oriented, direct, demanding, opinionated, critical and appear to be self-assured. If Carlos is a dominator, he’ll handle his key moment by being aggressive with his employees and letting them know that he won’t tolerate their poor performance. He might become more vigilant and seek to find out who are the ones causing problems and tell them that he is willing to fire someone if things don’t improve. Accommodators don’t want to offend. They hope that by being nice they can not only avoid rejection and criticism, but that others will see how nice they are and eventually come around. Over time, accommodators may also feel and act like martyrs, pout, get sick, be depressed, or act out their feelings in passive-aggressive kinds of ways. They tend to be polite, easy to get along with, non-judgmental, passive and self-aware. If Carlos is an accommodator, he would likely withdraw, fret and worry about what is happening within his department. He may apologize to Mike and Bobbie (not a bad thing) and take the blame for what is happening. He may also bend over backwards to make his employees happy and, in the process, undermine his own authority. Avoiders communicate the message “Let’s pretend that everything is okay.” They don’t want to make waves and hope that by glossing over a situation it will go away. Because they have a hard time dealing with emotional issues, their relationships aren’t as deep. They don’t disclose their true selves to other people but seek to play it safe. Avoiders tend to be easy going, independent, rational and detached. If Carlos is an avoider, he’s likely to minimize what is happening and hope that things will improve over time. He would rationalize the decrease in production by telling himself that this is part of the natural transition to supervision. Unfortunately, the long-term consequences of each of these three communication styles are harmful. They diminish trust and set up an unsafe and adversarial atmosphere of “me versus you” and “us versus them.” They impact self esteem and how people feel about themselves on the job. Organizational performance suffers. Problems go unsolved. 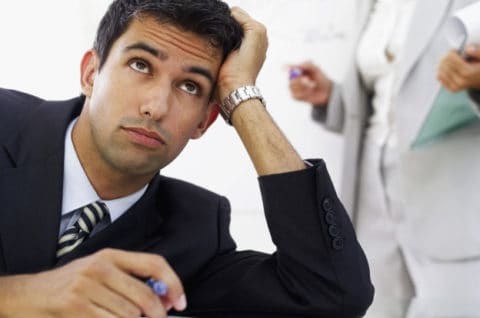 Employees are unproductive and unhappy. Of course, dominating, accommodating and avoiding are not the only choices available during a key moment. 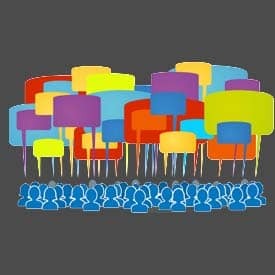 A fourth and better alternative is collaboration. Collaborators are tough on two dimensions of behavior. They care about outcomes and they care about people. These leaders recognize their own authority and don’t let pleasing others override their opinions. Yet, they are also optimistic about people’s capabilities and motives, so they are willing to go to them directly to work things out. They step up to difficult conversations when differences of opinion exist, but they do so seeking win-win outcomes rather than imposing their own will on others. Their communication is grounded in three core skills – supporting, confronting and empowering – which are the hallmarks of a healthy leader-employee relationship. They continually “shift gears” between these three core skills depending upon the needs and flow of the conversation. Being aware of these skills allows them to read what is happening and plan where to go next. Supporting others is the foundation of good communication. It is interacting with employees in ways that promote trust, respect, goodwill, openness and exploration. It includes the ability to listen deeply as well as show respect and give praise to others. Confronting others is a willingness to be honest and tell the truth. It includes being real and vulnerable about our own experience as well as caring enough about others to not let them act in harmful or mediocre ways. It is communication that we use to address poor performance, resolve conflicts or address sensitive topics that affect work. Empowering others is instilling responsibility and authority in them. It is helping them set goals or define actions to move forward as well as holding them accountable for what they say they’ll do. It also includes expanding the scope of what people do by establishing boundary conditions and providing them with resources, information and training to succeed. Below is what happens when Carlos addresses the problems going on in his department as a collaborator, as someone who uses these three core skills to improve the situation with Mike and Bobbie. Carlos decides his first step is to approach Mike and Bobbie and explore what happened. Late one afternoon, he invites them to go with him to the cafeteria. After buying them a drink, they all sit down at a table to talk. Mike and Bobbie look at each other and are quiet for a moment. Carlos doesn’t break the silence. Collaborators address sensitive issues directly. And they communicate with people in ways that strengthen them and help them grow, feel good about themselves, and motivate them to perform at their best. It’s not easy. It’s a different way of talking. But it’s also a much better alternative than dominating, accommodating or avoiding. This is an alternative that will get the best from your most important resource – your people. ARE YOU UNDER THE “MONDAY MICROSCOPE”? 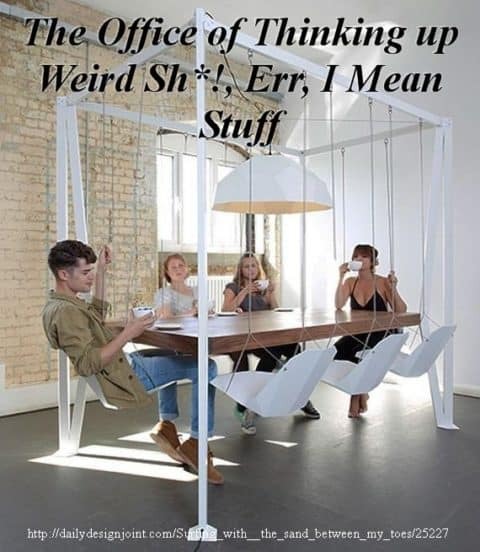 The Office of Thinking up Weird Sh*!… Errr, I mean “Stuff”!! ©2018 The Executive Advantage. Web design by 360 Solutions.